Discussion held Mr.Wijitha Herath (member of parliament) regarding the Port City Project. 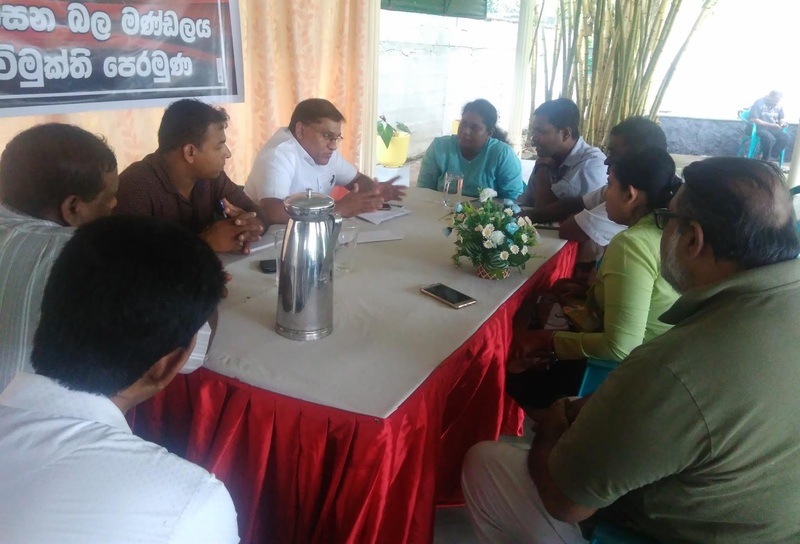 PMAPC core committee members met MP Vijitha Herath to discuss how they get the support to the campaign on Port City as they see the economic, social, cultural, political and environmental destruction to the country if the proposed plan implemented. The clear evidences are the failure to pay the first instlalment to China and 15000 acres of land to be given to Chinese around Hambantota harbor.